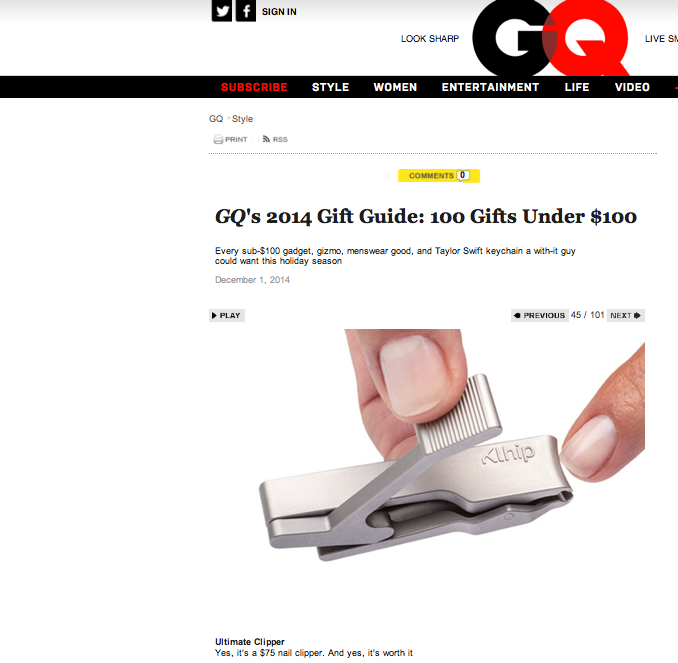 Honored to be included in GQ's 2014 Gift Guide! As they put it, "Yes, it's a $75 nail clipper. And yes, it's worth it". We couldn't agree more. The perfect gift under $100. Happy Holidays!